The answer is yes, but you might have some options so there is no license suspension at risk. Take a look in this video at some options you may have. 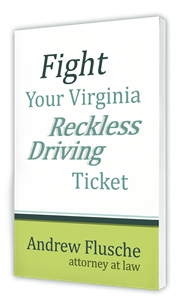 Update: In 2018, Virginia law changed – you no longer lose your license IF you do first offender and you were NOT operating the vehicle. Otherwise, you’re facing loss of your license. – Hi, I’m Andrew Flusche, your Virginia defense lawyer. If you’re charged with possession of marijuana in Virginia, will your license be suspended? The the answer is yes, if you’re found guilty of the offense, or if you opt to do for the first offender program. By law, either option, either a guilty finding for marijuana, or doing the first offender program to have the case dismissed, either one will result in a six month suspension of your license. But that’s not the end of the story. So many people hear that and think, oh, I can’t drive to work, or I can’t drive to school. What am I going to do? In most cases, at least around the Fredricksburg, Stafford, Spotsylvania area, most of the time, if you’re in that situation where you get a possession of marijuana and you have your license suspended for six months, usually the judge will authorize a restricted license, which means you’re given a limited privilege to drive to work, to drive to school, to drive to doctors appointments. If you’re doing a first offender program, you’re usually allowed to drive to community-based probation who’s monitoring that program. You’re usually allowed to drive for your community service work part of that program. You can even drive to church one day a week. There’s a lot of things you can drive for, including minor child care and court-ordered custody and visitation things. So there’s a lot of things you can still drive for. So the point of this video is to realize that it’s not the end of the story if you hear my license is going to get suspended. You can normally get what’s called a restricted license. So your license does get suspended, but then the court gives you a limited privilege to drive for certain limited things. Now, you can’t do social driving. You can’t even run errands like the grocery store or the bank. However, you can at least drive for some of the necessities of life such as work and school. The most important thing is if you’re charged with a marijuana charge in Virginia, you definitely need to contact me so I can see if there’s any defenses you may have to try to have the case completely dismissed or maybe we can try to have the charge amended into something like possession of paraphernalia so there is no license suspension at risk. So if this applies to you, definitely contact my office so we can begin discussing the case together.